of who influencers consumers are listening to and building authentic relationships that lift brands. 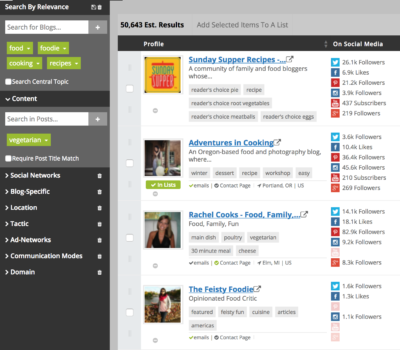 Search over 15 million blogger profiles. The heart of GroupHigh is our blogger index, complete with easy to digest content overviews, contact information and reach metrics. Users have the luxury of pulling lists of content creators by niche topic expertise and funneling them down by social presence, total reach and location. Bring spreadsheets, lists, and profiles to order. Organizing and maintaining a brand’s marketing relationships is one of the most common pain points with influencer marketing. GroupHigh makes it easy for marketers to import their existing relationships and manage them all in one place, helping to create a solid foundation to build upon. At the click of a button, influencers are added to a brand’s network and their metrics and contact details are researched and listed. More brands are looking to activate an opt-in approach to building their digital networks, allowing influencers to sign-up to be a brand advocate. Our built in form allows for personalization of requirements, asks for crucial information such as URLs, location and why they want to join. You then have complete authority to who you accept into your network and what campaigns they work on. Every strategy has a unique way of “qualifying influence” and GroupHigh has built a software that powers this personalized vetting process. 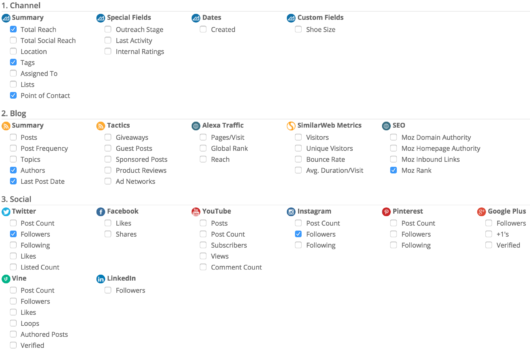 Users can pull over 50 metrics for influencers and choose which filters to run them through to vet for brand fit. Foster and grow authentic influencer relationships over time. 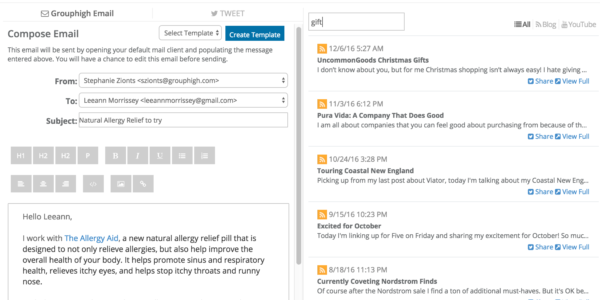 GroupHigh’s CRM capabilities allows users to email and track their communication with all influencers in your network. From tailored communication to new influencers to group email with networks in place, GroupHigh has functionality for any communications style, including Tweeting at your influencers. 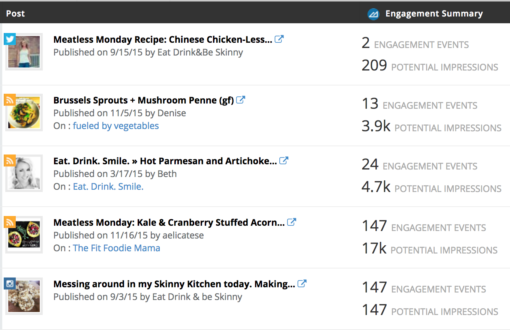 Bring together all mentions in a single place to show ROI. 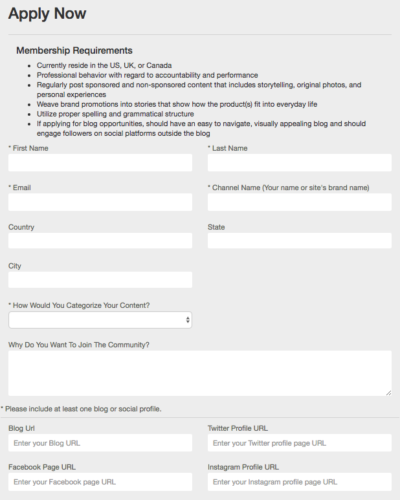 GroupHigh allows you to view and track earned media created by your influencers from blogs and social media. This focus eliminates the noise commonly found in social media monitoring allowing you to focus specifically on your influencer created content.